Today’s article is written by a new colleague of mine; Ryan Everhart. At some point soon I plan on writing a blog about Ryan and the new digital technology he’s involved with. For now I will let this wonderful article he wrote speak for itself. Flat Panel Digital X-ray Detector or the FPXD is the latest development in x-ray technology. Have you ever wondered how they work? FPDs can normally be categorized into two segments – direct and indirect. The two different terms refer to the technique used to create images. While the former uses direct conversion detectors, the latter uses indirect conversion detectors. In the paragraphs that follow, the two methods will be discussed in detail. 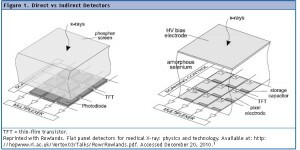 These detectors use a thin film transistor coated with Amorphous Selenium, which helps to convert x-ray photons directly into electric charges. 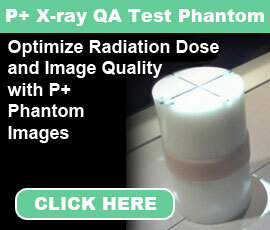 This helps to convert x-rays into digital signals. When bias voltage is used on the detector, electron-hole pairs are generated by the incident x-rays. Capacitors collect these charges and associate them with each element of the detector for readout by the specially added circuitry. Here, the conversion of x-ray beams into charges is direct, doing away with the need for light emitting materials used by CR systems. 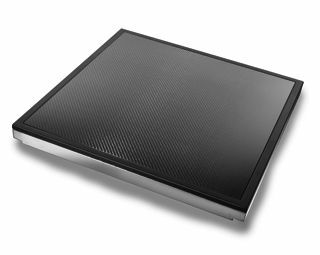 It also does not require the additional processes that are used in CCD and silicon media based systems in order to ensure proper capturing and conversion of the energy contained in the x-rays. 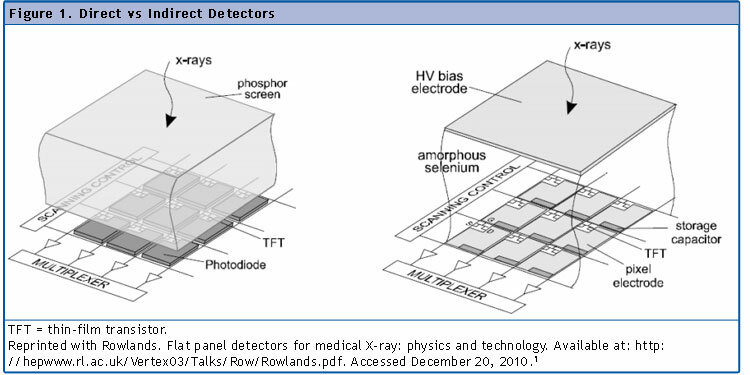 These detectors use a scintillator to convert x-rays into visible light. Using photo-detectors like amorphous silicon photodiode arrays (CCDs as they commonly known), this light is then converted into an electric charge. Like direct conversion detectors, these detectors also make use of TFTs (Thin Film Transistors). The photodiodes used in this method are coated with a Gadolinum Oxysulfide Scintillator or a crystalline Cesium Iodide Scintillator. When struck by x-rays, these scintillators emit visible light that is proportional to the x-ray energy. The photodiode arrays then convert these light photons into electric charges. The process here, as you have seen, uses two steps for x-ray detection; first, by converting the x-rays into light in the visible spectrum and then converting the visible light into electric charges by means of photo detectors. Another method of indirect conversion, the oldest, is by using CCDs (charge coupled devices) that register light generated by x-rays on scintillation material like photostimulable phosphors. One of the factors that make CCD-based systems unique is that they are a little bit smaller at 2-4 sq cm, much lower in size than the typical projected areas for x-rays. Due to this, CCDs require the use of optical coupling which will help lower the size of the image formed by visible light that is projected and for transferring the image to a single or multiple CCDs’ faces. Despite the additional processes involved like image demagnification and optical coupling, CCD-based systems are very popular in medical centers because of the low cost and their availability. The other methods are, however, catching up in the market, and manufacturers are continuously striving to refine these products by exploring their technological potential. So one can expect further advances in the area of Flat Panel Detectors and image technologists can look forward to better working flow and operational freedom.